Vinyl siding is a popular choice for homeowners who would like to improve the looks of their residence without painting. While vinyl is pretty economical, and long-lasting, here are a few other advatantages when it comes to choosing it for your house. There are lots of factors to consider when looking at installing vinyl siding. There are several advantages to putting in vinyl siding on your home. Vinyl siding comes in several grains and colours to fit most homes. The good news about newer siding is that the color is baked through the vinyl instead of applied. This means that the color stays true over a long period of time and will not show scratches or small imperfections. This tends to also make you enjoy the appearance of wood siding, with no traditional downsides it has because you can have a vinyl with the appearance of wood grains. Vinyl is considered the most inexpensive options available for sidings. Choosing the best siding options in a place like Seattle Is no small task due to the weather and constant rain. Vinyl-siding fits the bill completely and achieves this at a price that most home owners can easily afford. Vinyl is one of the most durable home exterior products on the market as well. It stands up very well to the elements like wind and rain when it’s appropriately installed. Any durability issues that you’ve heard about with vinyl siding has far more to do with the installers than with the siding itself. When done right, vinyl siding lasts a lifetime. One often overlooked advantage about vinyl siding is always that it increases your property value. Lots of people will not buy a house that does not have vinyl siding. 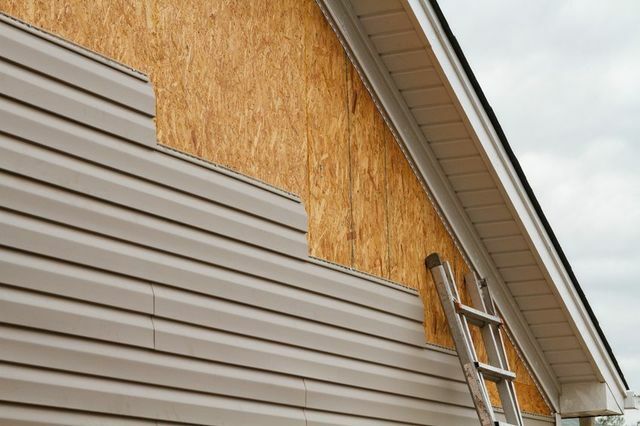 For all the reasons stated earlier, setting up vinyl-siding onto your homes exterior increases your property value and make your home far more attractive to potential customers down the road. Remember to evaluate vinyl siding costs before you choose your style and color, please remember that vinyl siding won’t only add value to your home, it’ll make your house look and feel new again.